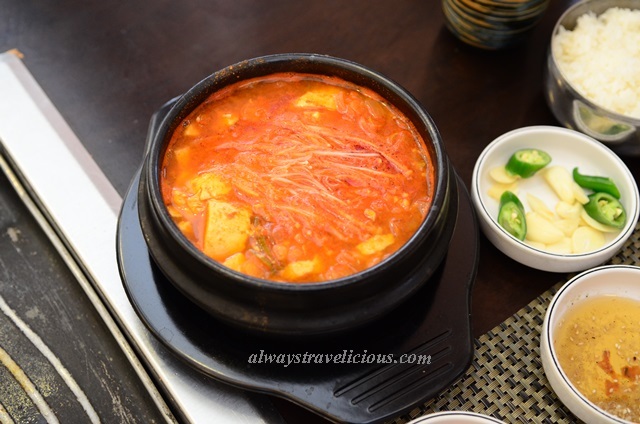 Bon Ga Korean Restaurant @ Solaris Mont Kiara - Always Travelicious ! 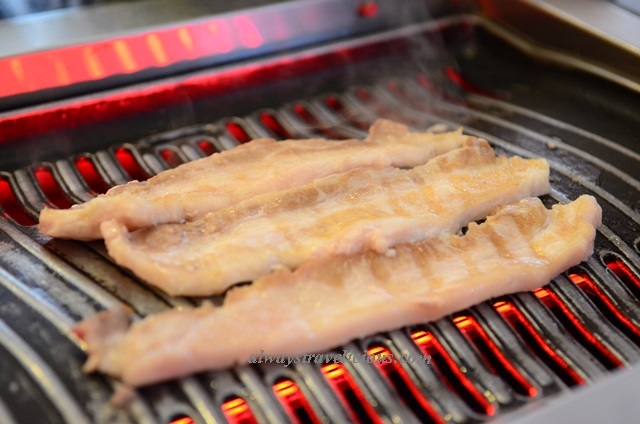 Bon Ga Korean Restaurant offers a decent range of Korean classics including BBQ, noodles, soups and a bit of seafood as well. The barbecue here is done on electric grill that’s super convenient and saves you the jolt as the waiter no longer needs to bring a hot pot of scorching coal or take the pot away at the end of the meal. 7 starter dishes are served including 2 less typically seen dishes such as mini kimchi pancakes and braised black beans with soy sauce. I like the black beans – it takes time to make this dish as the beans need to soften, the soy sauce needs to reduce and caramelize correctly with added sugar – forming a sweet & savory dish that goes so well with rice with every pop. I find ordering barbecue at Bon Ga very flexible because they don’t make it compulsory to order a minimum of two barbecue items as some of the Korean restaurants do. The electric grill is sleek and you don’t feel too much heat from it even if you are sitting right in front of it. 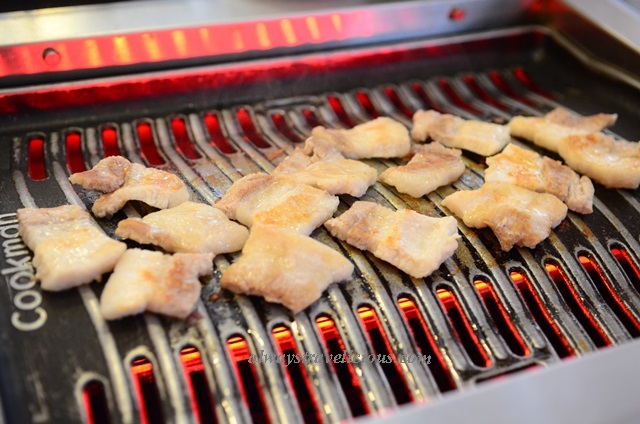 The fresh pork belly (RM 29) has some beautiful golden grill marks, making them a tad crusty. 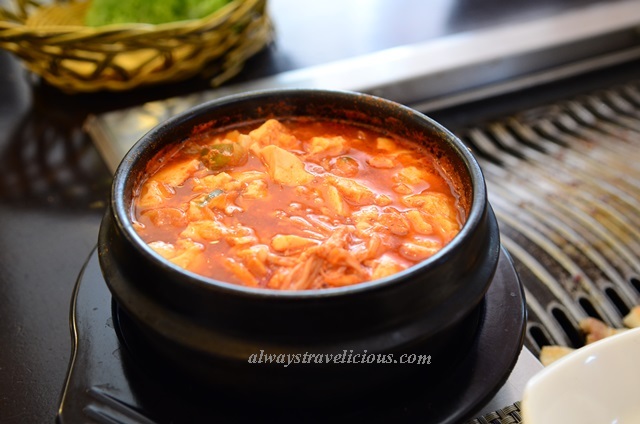 The soon doo boo chigae (RM 25) has a flavorsome seafood taste and plenty of tofu, but could do better with a punch. The restaurant’s simple interior space. Opening Hours : 12 pm – 10 pm.